We mainly introduce shape, classification,import of the steel channel and the steel channel weight. The channel is the section for the steel strip shape groove. Shaped steel with cross section. The channel is used in the construction and machinery for carbon steel,and this kind of steel has complex section, the section is shaped groove. The channel is mainly used for building structure, curtain wall engineering, mechanical equipment and vehicle manufacturing etc. it is required to have better welding, riveting performance and comprehensive mechanical properties. Production of raw materials need the steel billet carbon content not more than 0.25% of the carbon steel or low alloy steel billet. 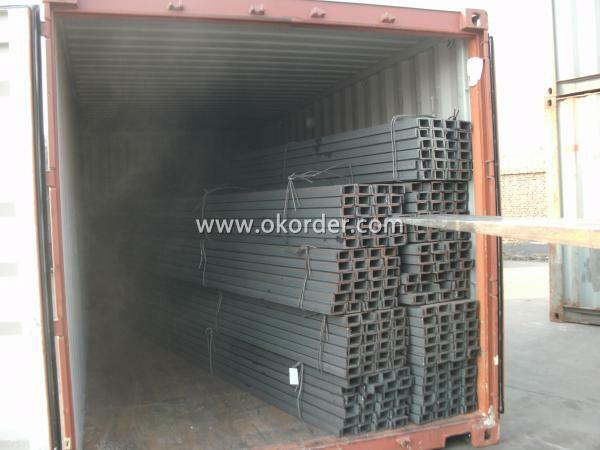 After finished steel hot forming, normalizing or hot-rolled state of delivery is also important. Channel can be divided into ordinary channels and light channels. General hot rolled steel specifications wil be 5-40#. The supply and demand sides supply come into agreement,the hot alternative channel protocol ‘s specifications will be 6.5-30#. Channel steel is mainly used for building structure, vehicle manufacturing, industrial structure and a fixed disk cabinet. Channel steel according to shape and can be divided into 4 types: cold bending equilateral channels, cold bending scalene channel, cold bending edge channels, the cold roll edge stiffeners. According to the theory of steel structure, steel should be flange force, that is to say the channel should be upright, not lying. At the same height, light channel is more narrow than ordinary channel, thinner than waist leg,and this kind steel channel weight is light. 18 - 40 steel channel weight heavier than. The import channel indicate the actual size and related standards. Channel steel import and export orders are generally in determining the corresponding carbon structural steel (or low alloy steel ganghao, to use the required specifications. In addition to specifications, this channel has no specific composition and performance series except steel channel weight. In recent years along the coast of China, several major ports (Dalian, Tianjin, Qinhuangdao, Lianyungang, etc.) in the engineering of the automatic loading and unloading new, expansion of oil, coal, grain and other bulk import and export commodities, with the main equipment, at the same time, imports of large channel is also increasing. Main production countries and regions for Japan, Russia, Western europe. The export channel mainly to Hong Kong and macao.